The TSC Mondial e.V. 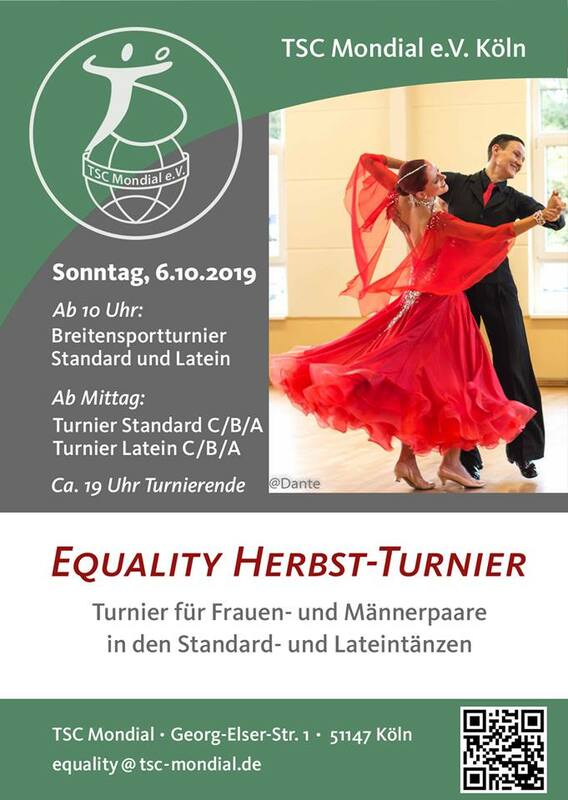 Cologne invites all female and male dance couples to their open Ballroom and Latin competition on the 06th of October 2019 in the classes C / B / A. In addition there will be a try-out competition for social dancers who have the possibility to take part in an extra competition. If you need further information please contact Eva Wortmann at equality@tsc-mondial.de.